Gamecock co-founder Mike Wilson has had a vital business role in game history over the past 15 years - working at id, setting up the influential GodGames, and now running his upstart publisher (Dementium, Hail To The Chimp) with a refreshing ethos; here, in a new Gamasutra Podcast transcript, he talks about his storied career and intriguing plans. Below is a faithful transcription which touches on his stints at id, GodGames, and Ion Storm, his disillusion with and desire to jump back into the industry, and just what separates Gamecock from the big boys on the publishing block. Read on, or listen here. Maybe we can start out by a brief introduction. Talk about what your title is at Gamecock, if such things exist, and kind-of what you do day-to-day. Mike Wilson: My official title at Gamecock Media Group is Grand Champeen. That's with two E's. We're a pretty small group. I like to think we're a pretty creative group. And my job is largely to be a creative cheerleader; keep everybody excited, and shake them when they're not necessarily waking up in a cold sweat as often as I do, worrying about our games. I'm also Social Director for the comfpany, and for many other companies in the game industry. On a more discrete level, for instance, you're here in Chicago, meeting with one of your developers, Wideload Games; maybe you could talk a little bit about what you're doing with Wideload, and just give us an example of the kinds of people that you work with. MW: I'm in a transition point, personally, with my own creative passions, for trying to help these games sell, that these guys have been working on for a couple of years. And we're just coming off one of our first releases, which is Dementium, coming out for the DS on Halloween. And I've literally been thinking about Dementium -- and how to help these guys, you know, make some money, and make a name for themselves -- for the last six months. And now I've got to shift gears, and start working with Wideload, and make sure that I'm as worried as they are, you know, about their baby. Not just because we have an investment in it, but because we feel that that's really -- that's what makes us different, maybe, than working with some other people. It's that I do toss and turn at night, really, wake up thinking about: "Oh my God, what if we had done this? I wonder if we could have communicated better about this aspect of the game." And it's really annoying, Tom. It is. Because I like to think I have a life outside of this, and, uh. Yeah, I don't. So I'm here meeting with Wideload, and get geared up as they're finishing up Hail to the Chimp, and make sure that we leave no stone unturned for trying to let the world know about their game. So would that involve marketing decisions, and advertising and promotion decisions, distribution, and packaging? Any or all of those things? MW: All of those things. Basically mapping out; reminding these guys all the things that have to happen -- other than making a great game -- for them to be successful. So it's mapping out a marketing plan, a PR plan. 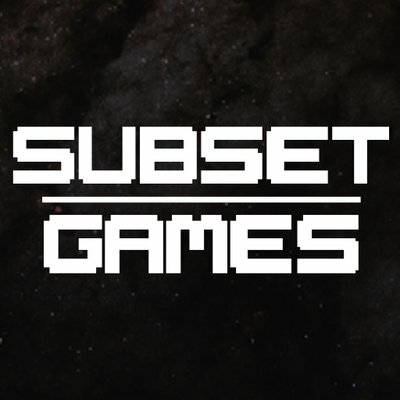 We're really big on the PR, because we work with interesting teams on interesting games, so I think our biggest challenge, because we don't do sequels and movie-licensed games, is to break through all the clutter and let people that maybe don't visit Gamasutra or GameSpot or whatever every day, let them know that these games are coming out. Because when you're doing original stuff, you know, and you can't lean on that movie marketing, or the fact that everybody knows this game from a previous one, you just have to work harder. Other than the inherent risk, that's why a lot of publishers just sort of shy away from it. It's more work for the same reward, you know? But we really dig that sort of work. It's a creative challenge for us. So yeah, it's everything from the box design to how we're going to reach all sorts of different audiences with the game; just to make them aware. Creating ads, and making sure the developers are aware of all the different things we need from them to make this happen, and to make sure they're all happy with it. We get our developers really involved in this stuff, so that at the end of it, if it doesn't sell well, the traditional thing is that the publisher points at the developer, the developer points at the publisher, and there's no teamwork, really. And so I want these guys to sign off on every aspect of what we're doing for 'em. Because we really believe that the people that work a year or two, or three years on these games -- and are gamers themselves, and buy games -- are a really good resource. And we don't really think that our opinions as marketers are necessarily better than theirs. I just want everybody to feel really good about the campaign, and whatever happens. I mean, you never know what's really going to sell until it's done. I've been on the other side of the table, working with developers, and feeling like we didn't really have a lot of input into the marketing and PR -- and it's not a good thing, when it's your baby.